Given their focus on trying to limit the power and reach of the federal government under a Democratic president, Texas Republicans now find that lamppost that was supporting them has suddenly disappeared. Under President-elect Donald Trump, many of them will need to find something new to lean on. This isn’t about fighting the feds anymore. The conservatives are at the wheel. The chances for White House support for their aversions to everything from federal environmental regulation to directives for transgender people’s use of public school restrooms improved immensely in Tuesday’s elections. Federal waivers to states like Texas that want to modify Medicaid rules seem more plausible now. A Texas government that has been at the forefront of state resistance to federal power, that has defined itself by its opposition to the feds, now finds itself — maybe — ideologically aligned with the Republicans who will take their places in Congress and the White House early next year. Some officeholders, like Lt. Gov. Dan Patrick and House Speaker Joe Straus, have a jump on this. Patrick’s ambitions for the coming legislative session include setting standards for who uses which public restrooms or other facilities, limits on growing local property taxes, and an expansion of school choice that would allow money now used exclusively for public schools to be used for private schools if parents and students in certain circumstances so choose. It sounds like the new president is on board with that. Straus has stressed infrastructure and improved public and higher education, issues that have support from Washington conservatives and that could thrive if friction between the state and federal governments is lessened or erased. Under President-elect Donald Trump, many Texas Republicans will need to find something new to lean on. This isn’t about fighting the feds anymore. The conservatives are at the wheel. The two lawyers at the top of state government — Gov. Greg Abbott and Ken Paxton, who succeeded Abbott as the state’s attorney general — have made their reputations as litigants against federal encroachment. Paxton took the sue-the-feds baton from Abbott and ran with it. Abbott’s federalism is now concentrated on his efforts to bring states together to try to amend the U.S. Constitution in ways that would limit the federal government and extend states’ authority and influence. He might not need the other states. His party has both houses of Congress and the White House, too. President-elect Trump will probably appoint a new justice to the U.S. Supreme Court to replace the late Antonin Scalia, and he could name one or two more justices during his four-year term. Texas Democrats didn’t win much on Election Day, but there were a couple of bright spots for them. The Texas House will have five more Democrats in it in January than it does today. Harris County, the state’s biggest, went from purple in 2012 to blue in 2016. Neighboring Fort Bend County flipped from red to blue. In some ways, Texas mirrors the country, with most urban counties voting strongly for Democrats — think Harris, Dallas, Bexar, Travis and El Paso — while the rural and suburban counties remain deeply Republican. One party needs to figure out the cities, and the other one needs to figure out the ‘burbs and the country. Those splits are already evident in the Texas Legislature, where issues like school choice run into geographic obstacles that transcend the partisan differences of Republicans and Democrats. 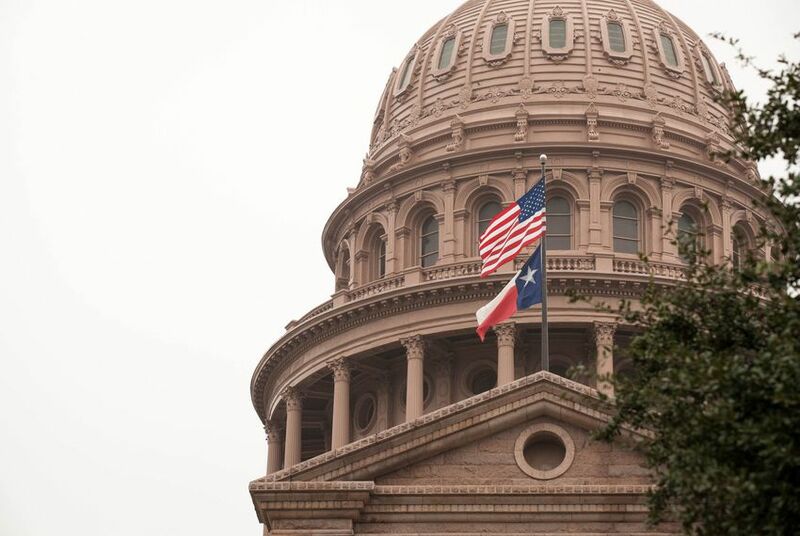 Those party differences remain strong, however, and the push and pull between the Republican state government and the Democratic White House have defined Texas politics for the last eight years, from the Tea Party to Rick Perry to Ted Cruz to Donald Trump. Abbott and the others now have friends in Washington, D.C. Trump might not have been every Texas Republican’s first choice, but he’s also not Hillary Clinton. That’s a win for the GOP however you slice it. They hold the House and the Senate. They’re in the position every political party strives for — in control. It’s just what they wanted — whether they expected it or not.